A study has found that children who slept on average one hour less a night had higher risk factors for type 2 diabetes, including higher levels of blood glucose and insulin resistance. The NHS Choices recommended sleep duration for a 10 year old is 10 hours and so a child getting just one hour less has a higher risk, say researchers. Professor Christopher G Owen, who led the research at St George’s, University of London, said: “These findings suggest increasing sleep duration could offer a simple approach to reducing levels of body fat and type 2 diabetes risk from early life. The study, “Sleep Duration and the Risk of Type 2 Diabetes,” also confirmed prior research that has shown an association between shorter sleep duration and higher levels of body fat. Researchers analysed the body measurements, blood sample results and questionnaire data from 4,525 children of multi-ethnic descent, aged 9 to 10 years, in England. Children who slept longer had lower body weight and lower levels of fat mass. Sleep duration was also inversely related to insulin, insulin resistance and blood glucose. The study, in the September 2017 issue of the Pediatric sacademic journal, did not find an association between sleep duration and cardiovascular risk factors, including blood lipids and blood pressure. The authors conclude that increasing the mean weekday sleep duration (10.5 hours) by half an hour could be associated with a 0.1 kg/m² lower body mass index and a 0.5 percent reduction in insulin resistance. 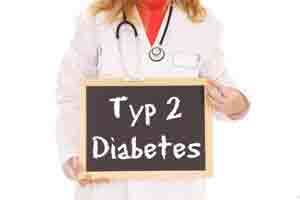 Reducing these levels may have longer-term implications for reduced Type 2 Diabetes in later life, the study states.